COCW Award to Russia today for the wide range of comments, invective and threats on the Senate almost unanimously passing the “New Axis of Evil” sanctions bill (H.R. 3364 now the Countering America’s Adversaries Through Sanctions Act). Whitmore expands on Gontmakher’s essay about historical precedents to Putin’s situation – Crimean War, Battle of Tsushima, and Afghanistan leading to deep regime changes. Prosvirnin argues that the Russian nationalist movement, long nurtured and spoonfed by Putin, is now deemed by the Kremlin to be another product of Langley covert operators (ever since the nationalists turned on Putin for abandoning Novorossiya, they morphed into foreign proxies). Tartarstan still reverberating. Irisova essay on Stalin worship is excellent. Many more essays on the meltdown. Most interesting Belarus report is forensic analysis by Gubarevich of how Ukraine is propping up Belarus. Belarus police quitting to get much better paid civilian jobs in Poland. Comrade Dodon’s failed attempt at referendum produces a lot of media coverage. Russia continues to be “outraged” over previous Moldovan slights. Discussions begin on Moldova – Romania electricity grid merger. Malorossiya argument goes on, double COCW applies. Excellent essay on Ukraine’s reforms by Amb John E. Herbst, he points out what Western MSM and legislators too often appear to be blind to (having been mesmerised if not zombified by Russian fiction). Kapitonenko essay on possible futures between Ukraine and Russia is quite good, but fails to elaborate on the toxic attitude of too many Russians who want to see the whole of Ukraine annexed – too many Russians see all international relations as a simple hard-wired zero sum game. Crimea loses all power as mainland Kerch grid collapses from summer peak overload, while Donbass fires continue. A convoy of Gruz-200 vans seen arriving in Donbass. A new 134-meter television tower to be built in Novoaidar district to flood occupied Luhansk. New Ukrainian RPV-16 Rocket-propelled Infantry Flamethrower thermobaric weapon (eq. RPO-A Shmel – Wikipedia) and new Stiletto Systems BS-13 7.62x51mm AP ammo detailed, the latter claimed to pierce «ARMSTAL 500» 20.5 mm thick armour steel plate at 220 metres. Saakashvili continues to hold headlines. Iran launches another large missile, while Russian treaty for Hmeymim AB near Latakia widely reported. DPRK also launches another large missile, which lands near Japan. DPRK admits sanctions hurt. Two essays on Russian meddling in Balkans, noting that Bechev book appears to disregard Putin’s opportunism. Much interesting reading on strategy and capability. IO/IW/Cyber starts with two COCW items of Russia advocacy, followed by an excellent essay by Prof Kuzio on Ukrainophobia and zombification in Russia. US domestic debate remains toxic, but good reports on H.R. 3364, “Fusion GPS”, Browder testimony, and Magnitsky Act. “Rapprochment with America” ​​seemed so close. Now about it, it seems, have to forget. The adoption by the US House of Representatives of the bill “On Countering America’s enemies by means of sanctions” (Countering America’s Adversaries Through Sanctions Act) was met by the Russian political elite with poorly concealed panic. Russian Deputy Foreign Minister Sergei Ryabkov, the Russian deputy foreign minister, called this the “destruction of the prospects for the normalization of Russian-American relations,” which would result in the US becoming a “source of danger” for Russia (a strong statement for a normally reserved deputy minister). In the comments of the pro-Kremlin experts, there is a bewilderment: the new sanctions level out the hopeful results of the meeting between Putin and Trump in Hamburg, closing the door for compromises. Moscow can only swim in the wake of confrontation, compromise actions will be a game in one gates. Evidently disappointment in “our Trump” – he turned out to be a weak president, could not block his political opponents and defend his foreign policy line, his figure for relations with Russia is losing importance. What is the answer to expect from Moscow? Russian President Vladimir Putin promised Thursday to retaliate against any new sanctions imposed by the United States, which he said would be a violation of international law that other countries should ignore. “We are behaving very composedly and patiently but we will have to respond at a certain point,” Putin told reporters while traveling in Finland. “It is impossible to constantly tolerate loutish behavior towards our country.” Putin said that the details of such retaliation will depend on the final sanctions approved by Congress. Lawmakers are on the cusp of sending President Trump a sanctions package that has passed both the House and the Senate, despite Trump’s desire for “flexibility” that the bill doesn’t provide. Russia’s comparatively small economy limits the threat of U.S. retaliatory sanctions, but Russian officials hope that European leaders won’t go along with the new measures. Putin said the sanctions bill “destroys international relations and international law,” and argued that it corroborates his long-standing claim that the United States is a bully. “How other states in the world react to this, it depends on the degree of their sovereignty and their readiness to defend their own national interests,” he said. The new sanctions punish Russia for invading Ukraine, interfering in the 2016 presidential election, and backing Syrian President Bashar Assad in a civil war despite Assad’s use of chemical weapons and attacks on civilians. “For too long, the message to Vladimir Putin has been that Russia can invade its neighbors, threaten U.S. allies, intensify its cyber-attacks, and interfere with foreign elections with very little repercussion,” Senate Armed Services Chairman John McCain, R-Ariz., said in June when the bill passed the upper chamber. “Unless and until Russia pays a price for its actions, these destabilizing activities will continue.” Putin’s comment about third-party states’ sovereignty isn’t just a criticism of the United States. It points to a Russian effort to convince Europe not to implement the sanctions, which might appeal to European nations with energy companies trying to do business in Russia. “If new artificial restrictions are imposed on Russian energy projects, Europe may find itself in a predicament where America will potentially be imposing its products on European consumers,” Alexey Gromov, an expert at an independent energy institute that develops “strategic documents” for the Russian government, said in remarks carried by Kremlin-run media. This wasn’t the U.S. administration the Russians thought they were getting. After the stiff formality of the G-20 summit earlier this month, President Vladimir Putin is engaging in some more relaxed diplomacy with the west. The term&nbsp;&quot;anti-Russian,&quot; a synonym for&nbsp;&quot;Russophobic,&quot; has a long history. It expresses the self-victimizing and enemy-creating sentiments of the Kremlin and Kremlin-linked media. 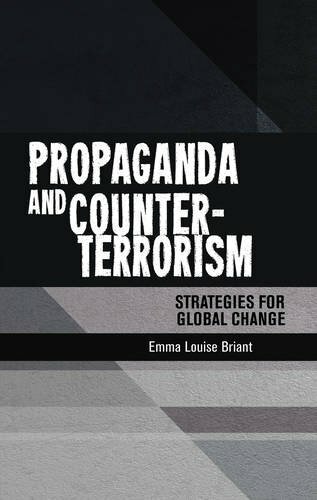 But&nbsp;&quot;countering Russian mischief&quot; has very different meaning than being&nbsp;&quot;anti-Russian,&quot; the experts from CEPA, a StratCom project aimed at exposing Russian disinformation in the countries of Central and Eastern Europe. News 28 July from UNIAN. If there is any silver lining in Russia’s recent military adventures and aggressive international posturing, it’s this: Historically, such periods have been followed by retrenchment, rapprochement, introspection, and reform. When the costs of an expansionist foreign policy become evident, Russia tends to change course. WATCH: Today’s Daily Vertical The reforms of Alexander II came on the heels of the Russian defeat in the Crimean War. The revolution of 1905 came in the wake of defeat in the Russo-Japanese War. And Mikhail Gorbachev’s glasnost and perestroika came in the aftermath of the Soviet defeat in Afghanistan. And believe it or not, there are voices in Moscow who are saying the status quo simply cannot continue. In an interview with Reuters this week, former Russian Finance Minister Aleksei Kudrin said Russia risks being saddled with a stagnant economy for decades as a result of Western sanctions. But there are reasons to believe that history will not be repeating itself anytime soon. Vladimir Putin has staked his legitimacy on restoring Russia’s superpower status and appears to believe that abandoning this would be an existential threat to his rule. This is now the regime’s legitimizing myth and it puts Russia on a collision course with the West. Putin wants detente with the West on his terms alone — and his terms are unacceptable. Sooner or later, Kudrin’s argument will probably become ascendant and the historical cycle will probably resume. But it will almost certainly not resume under this regime. Paul Goble Staunton, July 27 – A century ago, Nicholas II looked all powerful and yet he was overthrown and his country disintegrated, Yevgeny Gontmakher says; and today, Vladimir Putin looks even more powerful and with far greater popular support but because of the shortcomings of his system, it could “fall apart in a single day.” In an interview with Igor Pushkaryov of the Znak news agency, the Moscow economist and commentator argues that there are too many parallels between 1917 and 2017 to be comfortable, most the result of Russia’s failure to change with the times (znak.com/2017-07-26/evgeniy_gontmaher_o_tom_riskuet_li_putin_povtorit_sudbu_nikolaya_ii_a_navalnyy_lenina). Like the tsar and most of the world a century ago, Putin and his regime still operate under the principles of zones of influence defined in territorial terms. They have failed to recognize that in the world today, the true zones of influence are not about territorial acquisition and control but rather about the spread of influence. As a result, Moscow has frequently miscalculated and alienated others. In addition, the Russian government has once again allowed the trend lines of economics and politics to diverge, supporting many of the right things in the economy, although keeping it more dominated by the state than is a good thing, but opposing the political changes such as democracy and local administration that economic development requires. And third, Gontmakher says, both the regime of Nicholas II and that of Vladimir Putin operates on the principle that only one individual has all the answers. No matter how competent that leader is – and Gontmakher says the current Kremlin leader is quite competent in many ways – he will and does make mistakes and there is no one to correct him. This gives rise to maximalism and a Bolshevik-like spirit. Because of all these things, the economist continues, a single unexpected event can bring the entire system crashing down. In 1917, it was the problem of the distribution of bread in Petrograd. Now, it could be a reaction to the poorly-thought-through plans at demolition and renovation of housing in Moscow. At the same time, Gontmakher says, it is clear that Putin doesn’t want to restore the monarchy and make himself tsar. He “thinks he is a democrat. We have no mass repressions. In this regard, he isn’t Stalin; otherwise we wouldn’t be talking now. We can travel abroad. We can read almost anything we want. [And] in the narrow sense, he is not a nationalist … In economics, he also remains quite liberal.” Putin “doesn’t want a return to the Soviet system.” For him, the ideal system is “state capitalism.” There are thus three possible scenarios: First, “chaos of the type of February 1917,” when everything fell apart and power lay in the streets. “The probability of this scenario isn’t zero, but it isn’t that large. Second, Putin himself comes to the recognition that reforms are needed and moves to introduce them like a second Gorbachev. But third – and this is “the most probable scenario,” Gontmakher argues, “nothing will be changed.” In that event, Russia will fall further and further behind the rest of the world which will view it as a backwater. It isn’t going to fall apart. Putin will rule and things won’t be that disastrous at least during his lifetime. But there are a few reasons to think that this scenario won’t be allowed to proceed, Gontmakher says. “Social lifts are now destroyed. We have a new nomenklatura in which the sons and daughters of those who rose in the 1990s now occupy good posts at all levels and even with good education to get into this caste is now practically impossible.” Those who can’t see no future for themselves, and the regime has not addressed this. They thus could become a revolutionary element just as was the case in Russia a century ago. Yes, there were peasants and workers behind what happened in 1917, but “the majority” behind those events “were from privileged urban strata, many with university educations … and discomfort arose among them.” At the end of the imperial period, “they suddenly saw that in Russia social lifts just like now did not work or were stopped and that there were no particular prospects to correct this by evolutionary means” If that happens again, the Putin system is going to be challenged, even threatened, however powerful it now appears to be. A century ago, Nicholas II looked all powerful and yet he was overthrown and his country disintegrated, Yevgeny Gontmakher says; and today, Vladimir Putin looks even more powerful and with far greater popular support but because of the shortcomings of his system, it could “fall apart in a single day.” In an interview with Igor Pushkaryov of the Znak news agency, the Moscow economist and commentator argues that there are too many parallels between 1917 and 2017 to be comfortable, most the result of Russia’s failure to change with the times. The preservation of the cult of the past leaders strengthens the cult of today’s ‘leader’. Societies without a sustainable democratic culture and democratic institutions tend to perceive the commandeering model of governance as an acceptable and often desirable norm. In Russia, the reproduction of such thinking is facilitated by the widespread dissemination and consolidation of myths that revive the period of Tsarist Russia in the public consciousness: ‘a good tsar vs. the bad boyars’, ‘the tsar will stroke you but the boyars will scrape you’, etc. These myths are also built into most people’s attitudes towards the ruling elites, which are usually subdivided into Putin as the leader (the host or the master of the house), perceived as a source of higher justice, and then the rest. Accordingly, all power institutions in such a system rest only on the authority of the ‘leader’ and, in a broader sense, on the society’s consent to such a governance model. From this perspective, the attitudes of the Russian people towards Stalin should be perceived precisely as an expression of such consent, rather than a kind of protest against the current government or a way to worship a murderer. Although Stalin can — and should — be demonised (contrary to the statements heard from the Russian president), attempts to demonise Russian society are counterproductive, given that the sheer scale of Stalin’s crimes has been purposefully whitewashed from the social memory of Russians for quite some time. The illusory aura of the Great Patriotic War, and the creation of its cult surrounding it, would not have been so successful without the Kremlin’s policy of purposefully concealing ‘inconvenient’ issues. After all, if the Russian people had a good understanding of the scale of repressions and mistakes committed by Stalin on the eve of the Second World War and during the war, and of the ‘price’ that the Soviet people had to pay for those mistakes, sooner or later Russians would start to believe that their compatriots survived the war and its aftermath not because of the leader’s ‘effective management’ but, rather, despite it, relying solely on their own efforts. Such an understanding could start a wave of dissent, where the public would ultimately agree that the authorities must be held accountable, and that commander-style governance is unacceptable. This is exactly what the present authorities have been trying to avoid. Hence comes the pressure on organisations and historians dealing with historical memory and repressions, the absence of an in-depth discussion on this topic in the school curricula, and the claims about Stalin being ‘demonised’ by people and organisations working for the interests of other countries. All these efforts are undertaken in order to constrain the discussion of historical facts as much as possible, and to prevent them from becoming a subject of a large-scale public debate. As a result, according to the Levada Centre’s data, 20% of Russians know hardly anything about Stalinist repressions, 22% ‘know something but not much’, 44% ‘have some general idea’ (and it is possible that those ‘general ideas’ originate from the official version of history disseminated by the Kremlin). It turns out that about 86% of Russians (a landmark figure) do not have sufficient knowledge to fully realise the scale and nature of Stalin’s repressions. Through lack of historical understanding, they have been deprived of immunity to dictatorship and a commandeering governance model. We can logically assume that they see Stalin as a ‘commander-style leader’ who ‘came to Russia at the times of wooden ploughs but left it with an atomic bomb’, who ‘put the country in order’, and ‘won the war’ (the current propaganda has focused exactly on these claims). As such, Stalin is most likely not seen as the killer of millions. For this reason, it is hardly surprising that Russians see Stalin as an outstanding historical figure. 57% describe him as a ‘wise leader who led the Soviet Union to power and prosperity’, and 62% believe that plaques, busts and other artefacts that tell a tale of his successes should be present in public places. This is a side effect of hushing up the truth in order to implant and reinforce the thinking that a commander-style politician is an ideal leader and an effective manager for Russia. As a result, the overwhelming majority of Russians believe that the ideal politician must be an authoritarian figure: almost a third of those polled (32%) believe that ‘our people need a strong hand all the time’, and 39% agree that ‘there are situations (for example, at present) when it is necessary to concentrate all power in one man’s hands’. Presumably, the only possible rival of Vladimir Putin at this stage could be a politician who more or less corresponds with people’s ideas of an ideal leader. Despite the desires of liberals and intellectuals, a liberal Western-type politician is doomed to fail in today’s Russia, no matter how strong his programme would be. At the same time, Alexei Navalny, who is often accused of having authoritarian inclinations, can gain broad support precisely because of these traits. The main question perhaps is whether he will reproduce the leader-based model or start building strong institutions capable of preventing the degradation of democracy (something that Boris Yeltsin was unable to do). The arrival of a ‘non-leader’ in Russia will be possible only after a long period of successful efforts to educate the population and create genuine democratic views and attitudes. Paul Goble Staunton, July 27 – Vladimir Putin’s stalled program of reducing the number of federation subject by amalgamating smaller non-Russian regions with larger and predominantly ethnic Russian ones, a program many had expected to take off again now that the Kremlin has refused to extend that power-sharing agreement with Tatarstan, is instead facing new challenges. Taymyr activists have again demanded the authorities agree to a referendum on whether the Dolgan-Nenets district should be part of Krasnoyarsk kray. And Evenk representatives have asked Russia’s Constitutional Court to rule on the federal law that ended their separate status (nazaccent.ru/content/24861-tajmyrskie-aktivisty-snova-potrebovali-otdeleniya-ot.html). Some members of these numerically small groups in the Russian North have been raising these issues again and again since Putin forced through their amalgamation in 2005. They argue that they have lost not only status but economic benefits and access to key institutions, most if not all of which have been shifted from nearby to the distant kray capital. Neither action is likely to succeed. Moscow has turned down the Taymyr activists’ requests for a new referendum twice before; and the Russian Constitutional Court shows no willingness to rule against the Kremlin. But these moves, which are unlikely to get much attention, nonetheless signal that any moves against ethnic territories now will spark conflict. Paul Goble Staunton, July 27 – In 1970, Robert Sherill published a harsh critique of the US military’s justice system under the title Military Justice is to Justice What Military Music is to Music. Now, after Vladimir Putin has refused to extend the power-sharing accord with Kazan, one can say that Russian federalism has even less connection to genuine federalism. That is, some of the same words and music are used to describe it, but the content and meaning are entirely different, something many in Russia’s regions and republics are horrified by but that that Russian centralizers are now celebrating because they want all decisions to be made by Moscow officials rather than by Russians and non-Russians beyond the ring road. On Monday, the ten-year extension of the Moscow-Kazan power-sharing accord ran out. 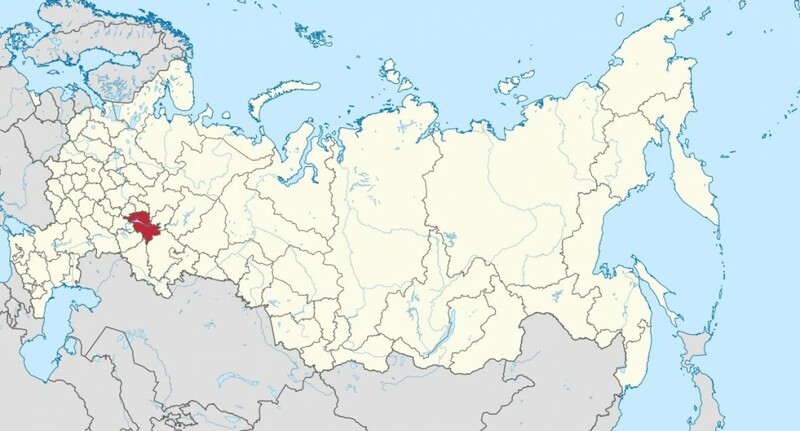 Tatarstan officials called for its renewal, but the Kremlin ignored their request, except to have Putin declare that it was constitutionally wrong to require Russian speakers in republics to learn the titular language, something that accord had enshrined and that Russian courts had accepted. In an article celebrating the end of the power-sharing agreement, Svobodnaya pressa commentator Aleksey Polubota and those Moscow commentators with whom he spoke declared that Russia as a result had “finally overcome a dangerous inheritance from the Yeltsin era in nationality policy” (svpressa.ru/politic/article/177600/). The writer quoted Russian nationalist publicist Yegor Kholmogorov as saying that as a result, “Russia had formally been transformed into a single state without treaty elements in its federal structure” and this represented “of course, only the first step to a genuinely united Russia” (business-gazeta.ru/article/352344). Polubota asked two other Moscow writers what the end of the power-sharing accord means and what is likely to happen next. Mikhail Remizov, president of the Institute for National Strategy, said that he welcomed the end of the accord because it would allow Moscow to end the discrimination Russians and Russian speakers now experience in non-Russian areas. But Remizov continued, it highlights something else even more significant: “Our country,” he remarked, “is a constitutional federation and not a treaty one. That is, from the outset, Russia was not a country created by various territories which agreed that now we will exist together, each on its own basis” Rather, “the logic was just the reverse: from the outset, a single unitary country formed various subjects of the federation.” That principle must be maintained, and in that regard, “the special agreement with Tatarstan was an unnecessary and even dangerous exception” that has now been eliminated. “In the early 1990s, the constitutional disintegration of Russia took place in which dozens of the subjects of the federation sought to obtain for themselves special conditions from the federal center.” That must not continue. Russian speakers in the republics must not be compelled to learn non-Russian languages, and republics must not be allowed to have presidents. On those issues, there can’t be any compromise, Remizov said. All regions must be the same in terms of law and practice, and then all can be strengthened so as to strengthen the country. Their “strengthening,” including a nod toward “budgetary federalism,” he added, “corresponds to the interests of the country as a whole.” Now that the Moscow-Kazan treaty is a thing of the past, he argued, “we must first of all move toward the equalization of the status of regions.” That won’t ever be completely achieved, but Remizov suggested that what is sometimes called Russia’s “excessive centralization” is “a means of compensating for the inequality of the regions.” Eliminate the one and the other will be eliminated as well, he implied. Toward that end, Remizov argued, “the administrative borders in Russia” should be redrawn to correspond with socio-economic needs rather than “on an ethnic basis.” That will mean fewer federal subjects but more effective ones. Unfortunately, there is a great deal of work to be done on that and no one is yet focused on it. A second researcher with whom Polubota spoke was Oleg Nemensky of Moscow’s Russian Institute for Strategic Research. Noting that the power-sharing accord didn’t contain much of importance, he argued that nonetheless it was “a very serious threat to the unity of Russia.” Even without the accord, however, “the danger of the disintegration of Russia has not disappeared, although it has been reduced.” Consequently, further steps must be taken and soon to “form relations between the center and the regions which will block the development of centrifugal forces” that could emerge in a “political or economic crisis.” To that end, Nemensky continued, “the federal center must increase the number of levers with the help of which it will be possible to influence the situation of inter-ethnic relations in all the republics and oblasts of Russia.” Moreover, Moscow must work to ensure that laws in all are “unified to the maximum degree possible.” “This is particularly important in national republics where ethnic Russians are the majority but where representatives of the titular nationality are more heavily represented in government, in business and so on.” There now must be “special laws” about national minorities wherever they live. In reporting these and even more radical Russian nationalist proposals now that the treaty has lapsed, Kazan’s Business Gazeta notes that some of them incLude calls for “transforming Tatarstan into the Kazan oblast” and stripping it of all independent powers (business-gazeta.ru/article/352722 discussing sputnikipogrom.com/russia/74844/rebuilding-tatarstan/). As of now, the paper says, “plans for the deconstruction of [the Tatar] nation” are still those of “marginal figures.” But it warns that no one can tell how long it will be before such ideas become centerpieces of Moscow’s policy. In 1970, Robert Sherill published a harsh critique of the US military’s justice system under the title Military Justice is to Justice What Military Music is to Music. Now, after Vladimir Putin has refused to extend the power-sharing accord with Kazan, one can say that Russian federalism has even less connection to genuine federalism. That is, some of the same words and music are used to describe it, but the content and meaning are entirely different, something many in Russia’s regions and republics are horrified by, but that what Russian centralizers are now celebrating, because they want all decisions to be made by Moscow officials rather than by Russians and non-Russians beyond Moscow’s ring road. ON MY MIND This week, Russia’s official name officially became a fiction. This week, the Russian Federation ceased to be anything remotely resembling a federation. This week, a decades-old agreement granting Tatarstan limited autonomy — including control over its resources, budget, and special status for the Tatar language — was allowed to expire. And the Kremlin is showing no signs of reviving it. One of Russia’s most important regions and its largest ethnic minority just got downgraded. On this week’s Power Vertical Podcast, we look at what this means for Tatarstan and for Moscow’s relations with Russia’s regions. Joining me will be Mark Galeotti, a senior research fellow at the Institute of International Relations in Prague, head of its Center for European Security, and a visiting fellow at the European Council on Foreign Relations; and Rim Gilfanov, director of RFE/RL’s Tatar-Bashkir Service. So be sure to tune in later today! Paul Goble Staunton, July 27 – Moral norms are important for any society, Vladislav Inozemtsev says; but the Kremlin’s promotion of spirituality and traditional values is not leading to their strengthening among Russians but rather allowing the Kremlin to avoid taking responsibility for its social policy failures and doing something about them. In an essay for the RBC newspaper, the Moscow economist argues that the current Russian government strategy of minimizing attention to social problems, relying on prohibitions, allowing family violence to go unchecked and exacerbating suspicions and hatreds isn’t lead to “serious positive changes” (rbc.ru/newspaper/2017/07/26/597727d09a79471a7578658c). Talk about “spiritual values,” he continues, works to the benefit of the Kremlin in two ways. On the one hand, it allows Russia to position itself as “’an island of morality’” internationally. And on the other, it promotes the ideas Russians are personally to blame for what happens and that they have no reason to hold the government responsible for its shortcomings. In exploiting this device, however, the authorities forget that religiosity by itself does not necessarily improve the socialization of individuals and that talk about moral norms gives rise to a sense that nothing needs to be done beyond that, neither of which helps improve the situation with regard to HIV/AIDS, drug abuse, family violence or other problems. Instead of distracting attention with all this talk about “spiritual values,” Inozemtsev says, the Russian authorities should be focusing attention on the problems of Russian society and drawing on the approaches of other countries. That is, he argues, a minimum “if Russia wants to survive.” Indeed, he says, it should stop counting the number of churches and prayers as a mark of success and stop greeting any effort to provide objective information about real problems as the work of the enemies of the country. But tragically, the current Russian regime seems committed to moving in exactly the opposite direction, hardly a good omen for the future. The owners of the Avilon Automotive Group, a top Russian dealer in luxury vehicles that does substantial business with law enforcement agencies, have secret business connections with relatives of Prosecutor General Yuri Chaika, his deputy, and a senior ex-official of the Investigative Committee, a top-level police agency. Russia’s Federal Security Service (FSB) says it has detained suspected members of an armed neo-Nazi group in Moscow. Russian President Vladimir Putin has signed a bill into law on Russian-Armenian joint military units. Russia’s Ministry of Defence has received into service a new batch of the improved T-72B3 main battle tanks. That was reported by Russian tank manufacturer UralVagonZavod (UVZ) . According to the UVZ,the Russian Army has received the next batch of upgraded T-72B3 main battle tanks (MBTs) with additional armor protection. Modernization of the T-72B to the T-72B3 began in 2010 and this process also includes improving the tank’s firepower by installing a new fire control system; overhauling each of these old tanks and replacing their outdated engines. The new version of T-72B3 is fitted with armour plates on each side at the front of the hull and wire cage armour at the rear part to increase protection of the engine compartment against RPG (Rocket-Propelled Grenade) threats. The developers took into account the experience of fighting in Ukraine, Georgia and Syria. According to armyrecognition.com, the armour of the turret is also upgraded with a new armour package including new generation of ERA (Explosive Reactive Armour) mounted on each side of the turret, while the rear part of the turret is fitted with wire cage armour similar to the system used to protect the rear part of the hull. Belarusian President Alexander Lukashenka traveled to Kyiv on an official visit on 20-21 July. Both Belarus and Ukraine, for different reasons, are seeking to reinvigorate direct dialogue between their leaders, which they resumed three months ago in the Chernobyl zone. The ‘age-old friendship’ (in Lukashenka’s terms) between Alexander Lukashenka and Petro Poroshenko may appear paradoxical: the former is authoritarian and pro-Russian while the latter is democratically minded and pro-European. Ukraine is resisting Russian aggression while Belarus remains Moscow’s closest military and political ally. It seems that simplistic political clichés do not capture the two nations’ complex relationship. A means to boost trade Lukashenka attended Poroshenko’s inauguration in June 2014 and returned again to Kyiv in December of the same year on a brief working visit. However, a lengthy hiatus of highest-level encounters followed. An attempt to arrange a meeting between the two leaders before the end of 2016 fell through, probably because of the Ukrainian elites’ displeasure at the Belarusian move against the Ukrainian resolution at the United Nations. Belarus must be independent for the Belarusians not to die in the wars that Russia is waging throughout the world. Such a statement was adopted by the city meeting of the solidarity movement Razam, which was timed to the 27th anniversary of the adoption of the Declaration on State Sovereignty of Belarus, Radio Racyja reports. Holding a meeting on July 27, which was recently celebrated as the Independence Day, was not chosen by chance, leader of the solidarity movement Razam Viachaslau Siuchyk says: July 27 is the Day of Independence, which Lukashenka abolished absolutely illegally. Any nation pays a high price for its Independence, and the Belarusian people are no exception. Belarus must be independent for our people not to die in the wars that Russia is waging throughout the world. The meeting of the solidarity movement Razam also adopted a statement demanding to release all the political prisoners who are still behind bars. Coordinators of the Minsk movement were elected at the meeting. As a result of low salaries, policemen break contracts and leave to work in Poland. The undermanning of Hrodna region internal affairs bodies has doubled within the year and is approaching to ten percent of the total number, Belarusian blogger d-zholik writes. The unpleasant information was announced by the management of the Internal Affairs Directorate of the Hrodna Region Executive Committee at the operational meeting on the results of the work of the Interior Ministry bodies’ personnel divisions for the first half of 2017, which was held a few days ago. Since the beginning of this year, the undermanning of the Hrodna police garrison has increased from 8.7% to 9.1%, almost doubling in comparison with the same period last year. A number of the district police departments in the region could not find any candidates for entering to the Academy of the Ministry of Internal Affairs. If this trend persists, in a few years, the Ministry of Internal Affairs will face the insolvable problem of replacing the positions of the territorial division senior stuff with persons having higher profile education. Three years ago, as a result of the first wave of the optimization of the Ministry of Internal Affairs, about 150 positions, which remained vacant for a long time, were reduced. However, in just a few years, hundreds of new vacancies have been formed in the region police structure, and their number continues to increase rapidly. That’s despite the fact that the police is almost the only place in the province to work with a guaranteed social package and high income, which is several times higher than the level of salaries at local enterprises and agriculture amid the continuing stagnation of the economy. Personnel services and heads of internal affairs bodies of the region have been given non-public instructions to prevent early termination of contracts with personnel by agreement of the parties, and therefore the disgruntled employees of the Ministry of Internal Affairs are forced not to appear at work in order to be dismissed for the systematic failure to fulfill the terms of the contract (absenteeism) and to leave for work in+ the Republic of Poland. All addresses of ex-head of the Krycheu ROVD face formal replies. For more than two months, the former chief of the OOPP Krichevsky ROVD, Lieutenant-Colonel Ihar VusikM seeks documents that served as the ground for an order for his dismissal from the Internal Affairs, but he faces only formal replies, Mahilyouski Region writes. On May 27 Vusik sent an application to the head of the Internal Affairs Directorate of the Mahilyou Regional Executive Committee Aliaksandr Kavalchuk; he requested to provide certified copies of documents, including the contract and employment position instruction that caused the dismissal of Vusik. It should be noted that the Krycheu ROVD, where Vusik had previously applied to, refused to acquaint him with these documents. The head of the Catholic Church in Belarus criticized the authorities’ policy towards foreign priests. The residents of the capital were puzzled by the strange behavior of the military in the night city. In the evening of July 27, Minskers could watch the landing of several paratroopers from the helicopter in the center of Minsk. A lot of people were also puzzled by the appearance of military equipment in the capital. The Ministry of Defense explained what was happening, and invited everyone to the holiday on July 29, tut.byreports. “On July 27, at 21.00, the demonstration of servicemen’s performances on the eve of the Day of Paratroopers and Special Operations Forces was held on the ground in front of the Palace of Sports in Minsk,” – the ministry reported. The ministry responded to the demand of the Belarusians to “rattle the arms” outside the capital. After the tank that lost its control crashed down a lamppost and a tree in the city, initiative citizens of Minsk filed a petition, asking to abolish the parades in the capital. 9297 people put their signatures under the document. Today the official response from the Ministry of Defense to the application of citizens has been received,tut.by reports. If to cut a long story short – the parades are to be held. Representatives of the Defense Ministry commented on the demands of citizens even at the time when the signatures were being collected. All the answers of high military officials boiled down to one idea: parades play an important role in nurturing a sense of pride for the country, and the economic component does not matter. The petition demand is to move the parades with heavy military equipment to special grounds. Tanks spoil the asphalt and create a traffic collapse in the city center and on the main highways. The Ministry of Defense sent an official response to the citizens’ claims. They believe that the decision to hold parades in the city is supported by the overwhelming number of Belarusian citizens, and the transfer of the holiday will lead to a significant increase in the cost of holding it. BUCHAREST, Romania (AP) — Moldova’s Constitutional Court has ruled that a referendum that planned to ask voters whether the country’s pro-Russian president should have greater powers is unconstitutional. Moldova’s Constitutional Court rejected President Igor Dodon’s plan to drastically expand his presidential power, but with parliamentary elections looming the real fight has yet to begin. Moldova’s constitutional court rejected on Thursday a plan to hold a referendum that might have boosted the powers of pro-Russian President Igor Dodon and paved the way for a roll-back of the ex-Soviet nation’s trade pact with the European Union. Moldovan authorities banning a group of Russian performers from entering the country is a provocative gesture aimed at derailing bilateral relations, the Russian embassy in the country said Friday. Russian Deputy Prime Minister Dmitry Rogozin said Friday that Chisinau had attempted to bar a flight from a Moscow airport with the country’s delegation from landing in Moldova. European funding could allow the Republic of Moldova is to be connected to neighbouring Romania’s power grid in a bid to diversify its electricity supply. A new project entitled ‘Moldova Romania Power Interconnection Phase I’ is now under consideration with the aim of diversifying the former Soviet nation’s electricity supply and domestic transmission network. As it stands, Moldova currently imports 80% of its electricity needs. This new deal will see them borrow an initial sum of EUR80 million as part of a total EUR270 million investment provided by European Investment Bank, the World Bank and the European Commission Neighbourhood Investment Facility. The loan will allow for the placing into operation of ‘a back-to-back connection between the electricity systems of Romania and Moldova’. The proposal to establish the state of Malorossiya in eastern Ukraine was meant to initiate a discussion, no final decisions on the subject have been made yet, the leader of the self-proclaimed Donetsk People’s Republic, Alexander Zakharchenko, said Wednesday. Evaluating reform in Ukraine is akin to taking a Rorschach test. For Kremlin propagandists and their witting or unwitting acolytes in the West, Ukraine is an irredeemably corrupt place. To young reformers in Ukraine and some of the country’s well-wishers, progress in transforming the country is agonizingly slow and always in danger of reversal. And to Ukraine’s top leadership and those who worry most about defending the country from Moscow’s aggression, the country has achieved exceptional progress in very difficult circumstances. Each of these points of view can be supported when the country’s situation is viewed from a particular angle. But a careful, comprehensive look at the circumstances and dynamics of Ukraine’s reform efforts results in an assessment that is ultimately positive. Ukraine is a country still in transition from an authoritarian political system and the corrupt, crony capitalism that emerged after the fall of the Soviet Union. With the Orange Revolution over a decade ago, the country tried to hasten reform. But the revolution ultimately failed because its leaders were products of the past and took few steps to reform the economy or address corruption. The new leaders that emerged from the Revolution of Dignity, like their Orange predecessors, had also been successful under the old system. But they are transitional figures. They are partly rooted in the old ways, but also recognize the need for at least some reform. But what is unique about post-Maidan Ukraine is a new group of stakeholders composed of young, impatient leaders who were never part of the old elite. They have made it to the Rada—comprising dozens of the 450 representatives—and they dominate a powerful civil society that, unlike after the Orange Revolution, has remained mobilized. Some of them have also become ministers and deputy ministers. This is the constituency for fast and thorough reform. Unlike those at the very top, this group has by and large not prospered under the old system or seen a need to reach an accommodation with it. And then there is the Western community. The United States, European Union, European Bank for Reconstruction and Development, International Monetary Fund, and World Bank are also proponents of reform. They understand that the people of Ukraine made clear on the Maidan their desire to create an open, democratic society and are prepared to help them do it. They have become powerful advocates for reform by helping to set reform goals, providing technical advice, and offering conditional financial assistance. Over the past three years, the young reformers and the Western community have formed a natural alliance in pursuit of intensive reform. The young Ukrainian reformers and the technicians from the Western development groups have helped identify the steps that need to be taken. Conditional aid from international financial institutions, the European Union, and the United States has been a powerful tool—not just in persuading Ukraine’s leaders to make difficult but necessary changes, but also in explaining to the country’s still powerful vested interests why important decisions are being taken against their narrow preferences. By any measure, this confluence of factors has led to impressive successes. During President Petro Poroshenko’s first two years in office, Ukraine: Moved from discretionary pricing to market pricing in natural gas sales, reducing the government budget deficit by $8 billion in one year and removing the major source of ill-gotten gains in the country; Closed over eighty corrupt banks; and Established the transparent Pro-Zorro procurement system to root out corruption in government purchases. When Prime Minister Arseniy Yatsenyuk was ousted in 2016 following a government crisis in which a number of reform ministers resigned, many observers predicted that the reform process had ended. In their telling, new Prime Minister Volodymyr Groisman was Poroshenko’s tool and the two would move slowly, if at all, on necessary change. But Groisman has proved to be his own man. He presided over the final implementation of gas price reform, the introduction of transparent e-declarations, and the politically difficult re-nationalization of Privat Bank, the country’s giant insolvent bank. As Ukraine’s parliamentary elections approach, some are saying once again that reform is coming to an end, pointing to old interests pushing back against some of the progress made. The evidence includes legislation demanding that NGO leaders provide detailed public information about their assets, and efforts to ensure that reformers do not have oversight responsibilities for the Anti-Corruption Bureau or control over the boards of directors of state companies. They also point to little progress made in addressing the massive problem of corruption in the courts. The critics definitely have a point, and they deserve credit for staking their careers on difficult issues. Without them the reform process in Ukraine would be much slower. Yet even now it is clear that their cries of despair are overwrought. Acting Health Minister Ulana Suprun is taking heroic steps to overhaul the antiquated and corrupt health sector, and the government is making substantial progress on pension reform. Both are enormous, long-overdue steps toward better governance. In other words, the performance of the Ukrainian government is, on balance, far better than the public description of its efforts. It has also greatly exceeded the expectations that many well-informed observers, including in the international financial institutions, had at the start of this process three years ago. Yes, progress could have been greater. But it has been substantial, and for this the people of Ukraine can thank the government, the young reformers, and their Western friends. John E. Herbst is Director of the Dinu Patriciu Eurasia Center at the Atlantic Council. He served as the US Ambassador to Ukraine from 2003 to 2006. Relations between Ukraine and Russia have reached a strategic impasse. The main issues – the conflict in the Donbas and the status of Crimea – have become unsolvable for the foreseeable future; the degree of mutual dependence has decreased, and distrust has grown dramatically. Under these circumstances, it is difficult to see anything but hostility and confrontation. Time is working against both countries: The world is quickly moving forward, while their resources and potential are blocked. At stake for Russia is the loss of its status as a regional superpower; Ukraine faces ongoing risks to its statehood. It all brings to mind “the prisoner’s dilemma”. Two suspects are interrogated. If one confesses to a crime while the other doesn’t, the former is released but the latter receives the maximum sentence. If both of them testify against each other, they both get a minimum sentence. If they both refuse to confess, they get a minimum sentence under a different article of the criminal code. Placed in different prison cells and deprived of any possibility to communicate with each other, the suspects often choose the safest line of conduct, which guarantees them the minimum loss regardless of the other player’s conduct. However, the safest choice is not the most beneficial for the parties when the game is repeated several times. Both of them could achieve much more in the long run if their is greater trust between the two prisoners. The game illustrates the difficulty of establishing long-term contacts between states as well as indicating how mutual trust can increase gains for both parties exponentially. It is precisely trust, or rather the lack of it, that is the key to the future of Russian-Ukrainian bilateral relations. Kyiv has serious grounds for suspicion. The Kremlin’s decision to occupy Crimea violated a long list of norms and principles of international law, as well as a number of bi- and multilateral documents signed by Ukraine and Russia. In such a situation, no responsible statesperson has any right to create illusions or hope for the best outcome. The tough rules of realpolitik espoused by Russia itself require just the opposite: distrust, suspicion and readiness for the worst-case scenario. Ukraine is going to build its policy following this very principle, and no document signed by Russia could become a convincing guarantee of security for the foreseeable future. The mutual perception of the situation as a zero-sum game is a natural consequence of the deficit of trust. Hence the parties make no major concessions, since the slightest victory by one side is perceived as a failure for the other. In the case of protracted conflicts, the tactic of small steps becomes the best way to at least partially restore confidence. The ability to understand the hierarchy of the other party’s interests becomes crucial in order to exchange secondary interests for primary ones. These small steps and sacrifices of secondary interests serve as a contribution to mutual benefit, and function as a manifestation of intent. Under the current circumstances, signatures on documents are hardly able to convince anyone, but concrete, practical steps can. Small steps towards each other, which can partially restore trust as a basis for even the smallest dialogue, can primarily focus on the humanitarian, environmental and social spheres – the most important areas from the point of view of post-conflict settlement, which serve as relatively simple and uncontroversial initiatives against the backdrop of political confrontation. Hostage exchanges, steps to restore infrastructure, mutual contributions to overcoming the environmental consequences of hostilities: such initiatives can go beyond the logic of a zero-sum game and facilitate solutions of more complex problems in the long run, especially when we speak of amnesties and Ukraine regaining control over its borders. Three main scenarios for the development of relations between the two countries can be outlined against the backdrop of this dramatic lack of trust. As usually happens in politics, the most likely scenario is the one which requires minimum effort and ensures persistence of the existing status quo. Let’s call this a pessimistic scenario, which means the worst possible outcome for the dynamics of bilateral relations if not Ukraine or Russia individually. A complete lack of trust will be its distinctive feature. In this case, Russia will still be perceived as the main threat to security, and long-term strategy will aim at deterring Russia by all available means. The current imbalance of forces, and the ephemerality of Ukraine’s chances of joining NATO and/or the EU, will hardly provide great comfort to Russia, since Ukraine is going to take advantage of any chance that it comes across in the future. Confrontation with Ukraine will largely undermine Moscow’s position in the post-Soviet space, and will narrow the opportunities for any geopolitical maneuvers. At the moment, Russia can unilaterally reverse this trend by the use of military force, where costs and risks are high and incalculable. On 25 July, the Strasbourg-based European Court of Human Rights (ECHR) passed its first judgment in a case related to the loss of control over the part of the territory in Luhansk Oblast. The Court concluded that Ukraine had done all it could to ensure the right to a fair trial within a reasonable time in the case Khlebik v. Ukraine and that the plaintiff could have increased his chances of victory by complaining about the actions of Russia. Ukrainian President Petro Poroshenko has called the adoption by the U.S. Congress of a Russia sanctions bill a resolute message of support for Ukraine, according to his posting on Facebook. News 28 July from UNIAN. 28.07.17 15:43 – Complete blackout: occupied Crimea left without power supply over Russia mainland outage An accident on mainland Russia caused complete blackout on the occupied peninsula on Friday, July 28. Crimean “energy and fuel minister” Vadim Belik said on Friday, Censor.NET reports citing TASS news agency. Read more: Ukraine to resume power supplies to occupied territories after debts settled, – Minister Nasalyk “There is a total blackout in Crimea after the automatic emergency response system went off on the mainland,” the “minister” said, adding that power supply to Crimea will be restored as soon as possible. According to the Russian Energy Ministry, high temperatures in the Krasnodar Region, which supplies the peninsula with electricity, are the cause of the blackout. A source in the Crimean occupation government told TASS that power supplies will be restored by 4 p.m. Moscow time (1 p.m. GMT). Ukraine halted its power supply to Crimea from mainland Ukraine on Nov. 22, 2015 after two power lines were blown up in Chaplynka, the Kherson region. On Dec. 2, 2015, President Vladimir Putin of Russia launched electric power supply bridge from Kuban to Crimea. By April 2016 power supply to the occupied peninsula was restored in full. Russia's hybrid military forces attacked Ukrainian army positions in Donbas 22 times in the past 24 hours, with one Ukrainian soldier reported as killed in action (KIA) and another five wounded in action (WIA), according to the press service of the Anti-Terrorist Operation (ATO) Headquarters. News 28 July from UNIAN. 28.07.2017 09:32. Militants launched 22 attacks on positions of the Armed Forces of Ukraine in ATO area in Donbas over the past day. 27.07.2017 16:19. One Ukrainian serviceman was killed as a result of enemy shelling in Vodiane area&nbsp;(16km north-west of Donetsk). 28.07.2017 12:51. The militants continue to block access of the OSCE Special Monitoring Mission observers to the temporarily occupied town of Novoazovsk in Donetsk region. Published on Jul 27, 2017 Funeral vans have been spotted traveling from Russia to Eastern Ukraine. Observers from the Organization for Security and Co-operation in Europe have marked at least 2 such vans at border checkpoints in eastern Ukraine in the last week. Department of the State Architectural and Construction Inspection in Luhansk region has issued a&nbsp;permit for the construction of a 134-meter television tower in Novoaidar district, the press service of the inspection told UNIAN. News 28 July from UNIAN. Standing NATO Maritime Group 2 (SNMG2, featuring the DUNCAN (the United Kingdom) and YILDIRІM (Turkey) arrived in Odesa port. Vice Admiral Ihor Voronchenko, the Ukrainian Navy Commander, welcomed Commodore James Morley and vessels commanders. The parties held discussions and stressed the importance of the development of cooperation to strengthen maritime security in the region. The vessels crews will undergo joint training and on July 25 from 02:00 to 05:00 p.m. will host Odesa citizens and guests. It is expected that after visit SNMG2 vessels and Ukrainian Navy ships will have PASSEX training. Above: RPV-16 from Ukraine, below Soviet RPO-A Shmel. Ukrainian-British Stiletto Systems Ltd. company has revealed to Defence Blog’s details of the new BS-13 bullet, its upgrade of ammunition for sniper and assault rifles. The new series of ammunition by Stiletto Systems is designed to support tactical level operations on the battlefield. The new ammunition is provided to penetrate all current body armor and light armored vehicles include infantry fighting vehicles. The BS-13 is a special 7.62 mm armor piercing bullet for long range sniper rifle or STL-016 sniper rifle that also developed by Stiletto company. The bullet is capable of piercing armor plates over 20mm from the distance of up to 450m. 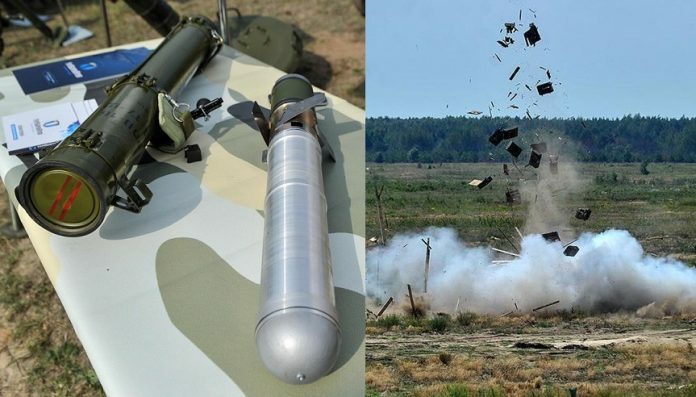 Ukraine’s military with a specialist from Stiletto Systems held ballistic tests of the new type of ammunition for small arms in order to confirm the accuracy of declared technical characteristics. The objective for full-scale ballistic test was a comparative evaluation of the armor-piercing capability of up-to-date bullets developed by Stiletto Systems company while firing against armored elements of the frontal projection of an infantry fighting vehicles. Distance from barrel muzzle face to armored elements of protection was 220 meters. According to the report of the military, the 7.62х51 mm cartridge BS-13, made by Stiletto Systems pierced (perforated hit) from a range 220 m at a firing angle 0° plate of armor steel «ARMSTAL 500» 20.5 mm thick. The ballistic test confirmed, that Stiletto Systems Ltd. can stop armored vehicles include infantry fighting vehicles at distance of up to 450m. Now Stiletto Systems Ltd. is working on plans to organize the production of new bullets in Ukraine. The new defence enterprise will operate according to NATO standards and produce interoperable ammunition of Soviet calibre. A few more companies are participating in the tender for the build the ammunition plant in Ukraine. And we are open to dialogue with other companies! 27.07.17 17:38 – System able to create Grad effect at combat, – new Ukraine-made weapon station tested. VIDEO Ukroboronprom SE has finished testing its weapon station for RS-80 missile launch, which is planned to be mounted at Ukrainian-made hardware. View video news. Ukraine defence company developed a new Phantom-2 heavy unmanned tactical multipurpose vehicle with a rocket launcher on aboard. The developers have integrated the unguided rockets system into the new Phantom-2 8×8 unmanned platform. The Phantom-2 unmanned ground vehicle with launcher for RS-80 rockets was displayed during military drills at the Goncharovsky Polygon of the Armed Forces of Ukraine. The new Phantom-2 vehicle with a rocket launcher for RS-80 rockets will augment the tactical capabilities on the battlefield. The RS-80 is a unguided rocket developed and manufactured by SJSHC “Artem”, part of the UkrOboronProm. New rockets caliber 80 mm are designed to destroy ground targets and are developed for attack helicopters and aircraft using regular starter units or special ground platform. The Phantom is a family of unmanned ground vehicles on 6×6 and 8×8 chassis for capabilities allow performing a wide range of tasks. The unmanned tactical multipurpose vehicle can deliver ammunition and loads across the areas that are under the threat of enemy fire, or at risk of mining, to safely and quickly evacuate wounded from the battlefield. In addition, antitank missile system or rocket launcher mount allows “Phantom” receive nearly invisible, portable and effective means for destroying enemy’s armored vehicles or fortified points. The US delegation led by Mrs Laura Cooper, Acting Deputy Assistant Secretary of Defence for International Security Policy visited the International Peacekeeping and Security Centre in Lviv oblast. Chief of National Academy of Land Forces Lt. Gen. Pavlo Tkachuk thanked Mrs Cooper for US comprehensive assistance in training of the Ukrainian service members in the framework of Joint Multinational Training Group — Ukraine (JMTG-U). The delegation toured the centre infrastructure and observed the tactical training of Ukrainian unit, as well as saw the progress of construction of the Imitation Modeling Centre and the work of US and Polish instructors. Rapid Trident is a USAREUR led, in the spirit of partnership for peace, exercise designed to promote regional stability and security, strengthen partnership capacity, and foster trust while improving interoperability between USAREUR, the land forces of Ukraine, and other PfP and NATO partner nations. WHAT IS RAPID TRIDENT? Rapid Trident is a regional command post exercise and field training exercise focused on peacekeeping and stability operations to ensure a safe and secure environment within the operating environment. This year’s exercise will be the validation phase for the Ministry of Defense unit undergoing training under the Joint Multinational Training Group-Ukraine program. The exercise is being held at the International Peacekeeping and Security Center (IPSC) in Yavoriv, Ukraine, and will be conducted June 27-July 8, 2016. Rapid Trident supports interoperability among Ukraine, the U.S., NATO and Partnership for Peace member nations. This year, 14 countries are taking part in the exercise with participation of approximately 2,000 personnel. 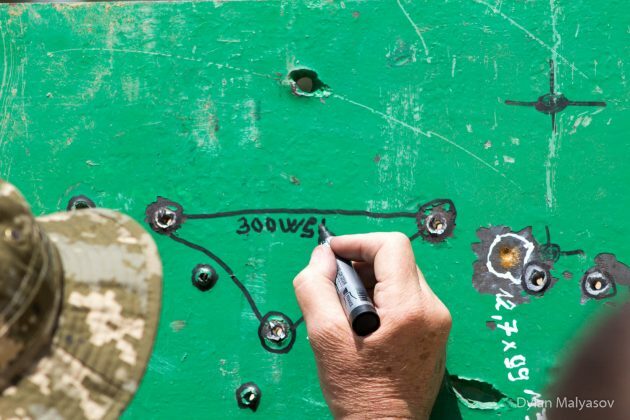 In preparation for the field training exercise, training audiences will undergo one week of situational training exercises that focus on exercise key tasks such as countering improvised explosive devices, convoy operations and patrolling. The exercise will feature a combined, internationally staffed battalion focused on peacekeeping and stability operations. Participating nations’ forces Ukraine, United States, Belgium, Bulgaria, Canada, Georgia, Great Britain, Moldova, Lithuania, Norway, Poland, Romania, Sweden and Turkey. The Rapid Trident exercise comes at the explicit request of the Ukrainian government and military. 28.07.2017 14:30. In August of 2017, Ukraine will export 470 MW of electricity to the EU and Moldova. Mothers of Ukrainian political prisoner Stanislav Klykh and captive Russian contracted soldier Viktor Ageyev have jointly appealed to the presidents of Russia and Ukraine via a video clip recorded in Kyiv by a Novaya Gazeta reported Pavel Kanygin, after Svetlana Ageyeva was allowed to visit her son. News 28 July from UNIAN. About 40 Ukrainians were detained in Italy in 2014-2016 on suspicion of migrant smuggling, according to the consular service of Ukraine's Ministry of Foreign Affairs. News 27 July from UNIAN. Published on Jul 28, 2017 The 28th of July, 988. On that day, the Kyivan-Rus Prince Volodymyr made a choice that would change the path of eastern Slavic history forever. Today, the Slavic Orthodox Christian world celebrates the day of baptism of the Kyivian-Rus. On 26 July 2017, Mikheil Saakashvili, former President of Georgia and current political opponent of Ukrainian President Poroshenko, was stripped of Ukrainian citizenship. Apparently, the timing was chosen to make Saakashvili apply for asylum in the USA, where he is currently on a visit. The former Georgian politician, who was invited to boost Ukraine’s reform efforts on the invitation of Poroshenko, his classmate from university times in Kyiv, is now a stateless person, as he had lost his Georgian citizenship in 2015. Whatever one may think of Saakashvili’s policies, Poroshenko’s recent move is redolent of the selective justice and abuse of law from the authoritarian times of Yanukovych. How did the relations of the two former friends go sour? And how does this bode for Ukraine’s future? Former Georgian President Mikheil Saakashvili has suggested to the BBC that the revocation of his earlier obtained Ukrainian citizenship was a result of&nbsp;two oligarchs&nbsp;uniting against him. News 28 July from UNIAN. The Prosecutor General's Office (PGO) of Ukraine has turned down Georgia&rsquo;s request to extradite Mikheil Saakashvili in March 2015, as it deemed criminal cases against him politically motivated, according to the PGO's document of March 2015, received by Ukrayinska Pravda. News 27 July from UNIAN. Russian President Vladimir Putin has signed a law allowing for Russia to keep its air base in Syria for another 49 years. Russian President Vladimir Putin has endorsed a bill ratifying a protocol to the 2015 agreement between Moscow and Damascus regulating the deployment of the Russian Air Force in Syria for 49 years. U.S.-backed Syrian fighters have captured almost half of the Islamic State group’s de facto capital of Raqqa, but the push into the city in northern Syria has slowed due to stiff resistance and large amounts of explosives planted by the extremists, a spokeswoman for the fighters and monitors said Thursday. The Trump administration is seeking to force Iran to let in IAEA inspectors to military sites where the U.S. intelligence community believes the Islamic Republic may be cheating on a deal. DNA is painting a more detailed portrait of the ancient Canaanites, who have largely been studied through the secondhand accounts of their contemporaries. A joint U.S. and Afghan military operation in Afghanistan’s eastern Paktika province killed two al-Qaida-linked leaders and led to the capture of a third, a government official said Thursday. But it was not immediately clear whether the ballistic missile was an intercontinental one. Tokyo (AP) — Japan’s prime minister says North Korea has fired what is believed to be a missile and it may have landed in the sea off Japan. The US detected a ballistic missile launch out of North Korea at approximately 10:45 am. EST on Friday, the Pentagon confirmed to CNN. Even after 60-plus years of a fragile peace, South Koreans are fully aware that their efforts to build a modern society and economy ​are constantly​ at risk of being turned quickly again into rubble, by accidents, blunders and miscues from as close as North Korea and as far away as Washington. THE very idea of North Korea losing at war to bitter enemies US will leave a nuke-nut Kim raging – but photos of that very event unfolding have been revealed… in colour. China’s Foreign Ministry said Friday that countries outside of the region should not stir up trouble in the South China Sea after Britain said it planned to send a warship to the area next year. Vietnam’s foreign minister has asked his Indonesian counterpart to investigate and clarify reports that the Indonesian navy shot and wounded two Vietnamese fishermen in the South China Sea, the foreign ministry said on Friday. Many point to unromantic 20-somethings and women’s entry into the workforce, but an overlooked factor is the trouble young men have in finding steady, well-paid jobs. Croatia’s moderate government is currently the West’s strongest ally against Russian expansion in the Balkans. A new book takes a searching look at what Russia is up to &ndash; and what it is not &ndash; in Southeast Europe. Bechev ends this absorbing book, which takes in Greece, Cyprus and Turkey as well, by insisting that what we are not seeing in the Balkans is a return to an old-style Russian empire. Russia, he says, is bent on interfering with Western plans with the region, rather than with recreating satellite states there as some form of revenge for the loss of the old Soviet bloc. For all its significant leverage over energy, it lacks the economic muscle to draw any of these states fully into its orbit, nor does it have any kind of state “model” to export beyond vague appeals to national conservatism. The author closes by dismissing the notion that Moscow is somehow responsible for the region’s undoubted problems. “From Belgrade to Ankara,” he writes “dysfunctional democracies, state capture and the backslide to authoritarian politics are, on the whole, homegrown ills, not an outcome of a sinister Muscovite plot.” ‘Rival Power, Russia in Southeast Europe’ is published by Yale University Press. Will the EU let Poland slide from democracy to electoral autocracy, as it has done in the case of Hungary? At first glance, the recent G-20 summit in Hamburg may have seemed little more than another expensive and pointless diplomatic exercise. But upon deeper inspection, much good came out of this meeting. After receiving a request from Libya to operate in its waters, Italy hopes to have a freer hand in stemming a rising tide of migrants. All demonstrations that “might disturb the electoral process” have been outlawed ahead of President Nicolas Maduro’s vote on delegates to rewrite the constitution. But protesters remain undeterred. The opposition is boycotting a vote that could undermine the country’s institutions. A few years ago, I showed a senior officer a draft strategy. He looked at it, and then looked at me with a Christmas orphan’s unsatisfied disappointment: “We need to more clearly explain our ends, ways, means analysis,” he said, leaving silent the implied threat—or it’s not a real strategy. Underwhelmed but outranked, I grudgingly included the formula. American strategists know the formula well. It’s Col. Arthur Lykke’s, published in Military Review in 1989, and since then widely taught and promulgated by the US Army War College: “Strategy equals ends (objectives toward which one strives) plus ways (courses of action) plus means (instruments by which some end can be achieved).” It is convenient and concise, short enough to fit cleanly onto a PowerPoint slide and clear enough to be expressed as an actual mathematical equation: ends + ways + means = strategy (less residual risk). This simplicity has driven universal adoption; nearly every single strategic document the American military generates is directly or indirectly influenced by Lykke’s formula. But what if this dominant view is bad for American strategy, as Jeffrey Meiser points out in a recent essay? While he acknowledges “some value” to this method, Meiser also alleges the formula “has become a crutch undermining creative and effective strategic thinking” because it channels practitioners toward “viewing strategy as a problem of ends-means congruence” (e.g., do we have enough troops to do the job?). Is Meiser right? Is Lykke’s model a tyrannical mental straightjacket, constraining American strategists? I think so. Lykke’s model is flawed on four counts: (1) it’s too formulaic, (2) “ends” don’t really end, (3) it minimizes the adversary, and (4) our strategic performance since widespread adoption has been unremarkable at best. As the circumstances of international politics have changed, and with new innovations in technology, the strategic and operational utility of overseas bases deserves renewed scrutiny. Lt. Gen. David Deptula, USAF Ret., dean of the Mitchell Institute for Aerospace Studies, discusses his new report entitled “Consolidating the Revolution: Optimizing the Potential of Remotely Piloted Aircraft,” and says the US Defense Department needs to make its use of RPA use “more economical, efficient” and “effective,” by improving technology, organization and acquisition, during an interview with Defense & Aerospace Report Editor Vago Muradian at the Institute’s headquarters in Arlington, Virginia. The Air Force’s top general wants to network all its assets together in a massive battlefield picture. REDSTONE ARSENAL, Ala. – Missile experts at Lockheed Martin Corp. and Raytheon Co. are upgrading the Javelin anti-tank missile system to enhance the system’s mobility by reducing the weight of the missile’s launcher. EGLIN AIR FORCE BASE, Fla. – Smart munitions designers at Lockheed Martin Corp. are starting to manufacture the U.S. military’s next-generation LRASM anti-ship missile — the Long-Range Anti-Ship Missile (LRASM). Russia’s sixth generation of fighter jets is not even here yet, but are its onboard anti-missile defenses simply incredible? Senator advocates first building sensor layer, Senate appropriators back NextGen ATM and NASA’s Mars-bound rocket and a look at what’s ahead for spending bills. Testing reveals consumer drones could cause more damage than bird strikes in aerial collisions. The more America makes foreign nations feel squeezed, insecure, belittled, and even bullied the more they are likely to turn to a “strong man,” authoritarian, figure. People are similar the world around. By-and-large we prefer butter to guns but will choose guns if we feel threatened. Washington must deal with Russia despite the latter’s misbehavior. Vladimir Putin’s decade-long media campaign turned Russians against Ukrainians and Ukraine itself before he annexed Crimea in 2014. Retired Gen. Keith Alexander outlined his vision for defending the nation in cyberspace. Dozens of organizations have published similar reports, but at 282 pages, the National Academies of Sciences, Engineering and Medicine’s report is notable for its breadth and depth. According to Tom Grasso, supervisory special agent with the FBI’s Cyber Division, the only way to effectively dismantle a botnet operation is through cooperation with the private sector and citizens. Russia has imposed sanctions against the United States, demanding that the number of American diplomats and technical staff working in Russia should be reduced to 455 people by September 1. News 28 July from UNIAN. Let’s get something straight: The Magnitsky Act is not, nor has it ever been, about adoptions. The Magnitsky Act, rather, is about money. It freezes certain Russian officials’ access to the stashes they were keeping in Western banks and real estate and bans their entry to the United States. The reason Russian (and now, American) officials keep talking about adoption in the same breath is because of how the Russian side retaliated to the Magnitsky Act in 2012, namely by banning American adoptions of Russian children. The Russians vowed they were punishing Americans who violated the human rights of Russians, after an adopted Russian toddler died of heat stroke in a Virginia family’s car. But the only Americans the bill directly targeted were the ones involved in putting the Magnitsky Act together. It can tell us something about what may have happened during the 2016 campaign. WASHINGTON—There was a hearing on Wednesday called by the Senate Judiciary Committee. It ran for two hours. It was sparsely attended. There were few spectators and almost no media presence. There were hardly any senators. It was an extraordinarily important hearing, despite the fact that it occurred in a near vacuum. The only witness was a man named Bill Browder. Browder, it should be recalled, was the founder and CEO of Hermitage Capital Management, a hedge fund that did business in Russia and that was looted of $230 million by kleptocrats allied with Vladimir Putin in the largest case of tax fraud in Russian history. Browder and his firm were hauled into court by the Putin regime on a number of trumped-up charges. Some of his lawyers and associates were beaten in the streets. The company lawyer who discovered the massive pillaging was a guy named Sergei Magnitsky, and he was arrested and “died in custody,” that all-purpose fig-leaf used by corrupt cops from Moscow to Bagram to Homan Square in Chicago. (Later, the lawyer who was looking into Magnitsky’s death got tossed out a fourth floor window.) In response, in 2012, President Barack Obama signed the Magnitsky Act, which prohibited anyone who was suspected of being involved in Magnitsky’s death from entering the United States and, more important, denied them the use of any American bank. In response, Putin cut off the adoption of Russian children by American families. And that was the mildest of his response. Behind the scenes, Putin went completely wild. Browder came to the hearing with two extremely large bodyguards, and with quite a tale to tell. This month’s explosive revelations documented in an email chain that Donald Trump Jr. took a meeting explicitly pitched as being “part of a Russian government” effort to aid Trump’s 2016 presidential campaign is the clearest evidence to date confirming the Trump-Russia collusion story is anything but a hoax, as President Trump likes to tweet – often. It amounts to a stunning admission that the highest levels of the Trump campaign–the president’s son, his son-in-law Jared Kushner, and his campaign manager Paul Manafort–had significant contacts with Russians directly linked to the officials in Putin’s orbit, and those interactions in fact evidence the very acts of coordination, collaboration and collusion between the Trump campaign and the Russian government’s unprecedented and brazen assault on the American 2016 election process. The level of candor and raging frustration Scaramucci expressed yet again stunned a Washington political class that has become increasingly inured to the unorthodoxy of this White House. Derek Harvey, a retired Army colonel and hard-liner on Iran, was removed after complaints about his management style. The attorney for a House IT staffer arrested this week as he was trying to leave the country fired back at the feds in an interview with Fox News, while also speculating that the bank fraud count he faces could be a “placeholder” for more charges. Previous Post Does ‘countering Russian mischief’ mean being anti-Russian?